New college campuses are planned at the old Safeway site and Pioneer House (pictured). An overgrown former supermarket site could be transformed into a college building if planning permission is granted. Architects have drawn up plans to turn the old Safeway supermarket site on Bradford Road into a campus for around 1,600 students aged 16-18. 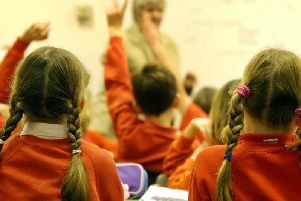 It would be one of two new “education village” buildings under plans by Kirklees College to relocate from Halifax Road. The move would see 1,000 students also educated at a revamped Pioneer house in the town. The supermarket building at Bradford Road was knocked down after Safeway closed in 2005. A planning report by architects Kilmartin Plowman and Partners (KPP) said it had fallen into disrepair and was overgrown. A legal agreement with neighbouring Lidl supermarket also prevented the site being used for retail in future. The report said: “The proposed development will make a positive contribution to the economic regeneration of the vacant site by reducing the negative contribution that the site makes at present, both visually and commercially. The college has made a funding bid to the Local Enterprise Partnership (LEP) for more cash towards the proposals. The architects’ report said the Bradford Road proposals was “to build a new college building to include workshop spaces for construction and construction and motor vehicle training as well as providing new classroom spaces for business, health and health and social care, Art and Design as well as Foundation. Councillors agreed to the redevelopment plans at a Kirklees Cabinet meeting in March. A public consultation on the planning application for the Bradford Road site will close on August 23.